Product prices and availability are accurate as of 2019-04-17 15:41:20 EDT and are subject to change. Any price and availability information displayed on http://www.amazon.com/ at the time of purchase will apply to the purchase of this product. *This is an online video course* About 3 hours of content. Are you tired of reading books on how to program using SAS? Do you find it boring? Is it hard to sift through and find what is important? If you are in this situation, my online video course is for you! If you are looking for sas online training, and want to learn SAS Base programming, you are at the right place. You will Learn SAS through example! A Case Study at the end of the course gives you an opportunity to see a real life example, and observe how some of the concepts you learned about are integrated together! 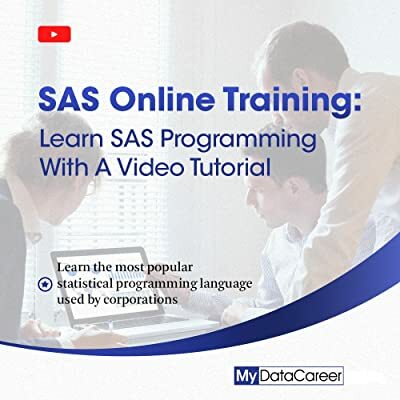 Learn how to code in the SAS statistical programming language so you can start a career or move up at your current company. Also, if you're studying SAS at a post-secondary institution, our course can help you with school projects and prepare you for a career after you complete your education. 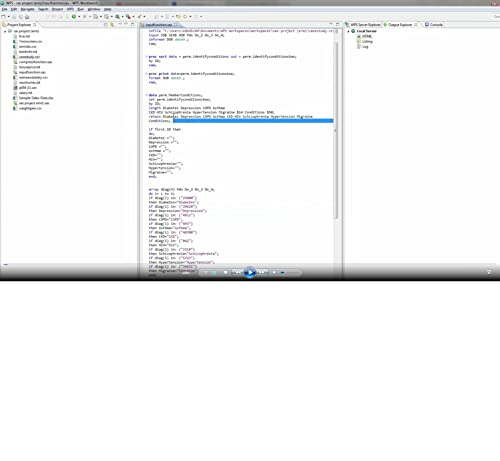 Widely UsedSAS programming is the most used language commercially. SAS is a powerful statistical language and understanding data entry, data management, and data analysis is more important than ever before. Every company needs a data ninja! An expert in data management and data analysis! Outline of CurriculumSo, in the import section, you'll learn how to import different file types (.txt, .csv, .xlsx), In the working with data section you'll learn how to merge two data sets, filter observations, clean and reduce your data, read dates, create an enumeration variable, and more. 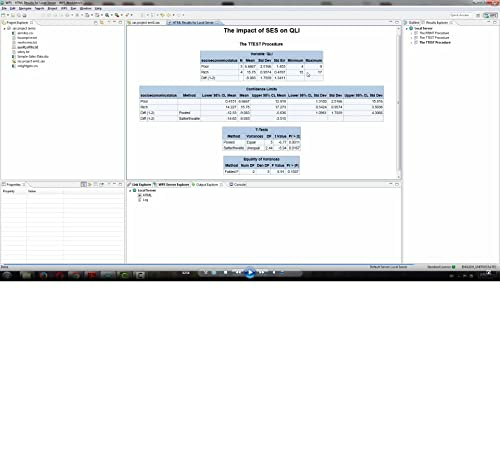 There is a section on Informats/Formats and SAS Input Types (list input, column input, formatted input). In the arrays section, we go into some detail about arrays. As of now, I show you how to use Arrays to recode variables and create new ones. In the Functions section, I cover the Rand function, length/lengthn/lengthc functions, Trim function, compress function, input/put functions, catx function and more! In the visualization section, you'll learn how to make a scatter plot and bar charts. In the statistical (data) analysis section, I'll cover independent t-tests, chi-square analysis, linear regression, and multiple regression. I also cover a few concepts from Macro Programming. Finally, the course ends with a Case Study that is taken from real life application, and let's you see how some of the concepts you learned about are integrated together! Additional Requirements: This is a digital online video course. You will receive a direct link and activation code to access this online course upon completion of your purchase.